I recently had the pleasure of collaborating with my friend Jessica Goldfond of The Shiny Squirrel, a NY based PR company and showroom representing the most incredible jewelry designers (in demand around the world and in publications like Elle, Vogue and Harper’s Bazaar). 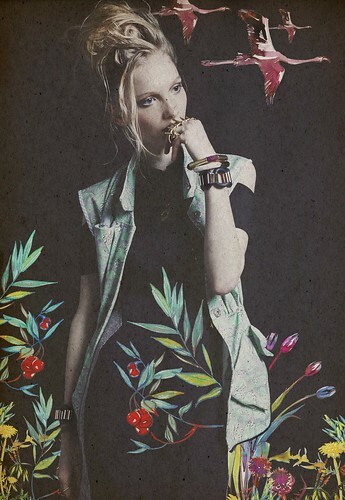 I loved incorporating my illustrations into the beautiful and dark photos from the S/S 2013 look book. Here’s a little sneak peek. The rest will be released in July.